The authors do an excellent job of tracing and exploring those competing visions [of slavery] . . . enriched by insightful analyses. . . .
A timely, well-researched, and deftly argued intervention with both scholarly and public importance. 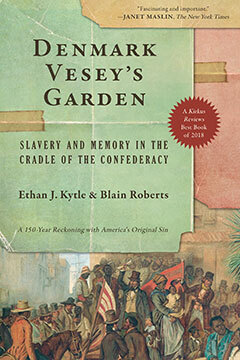 The authors do an excellent job of tracing and exploring those competing visions [of slavery]. . . . [T]hose who read it will not just learn how the institution has been remembered but also wrestle with the ramification of America’s slave past for its present and future.